Clair Matthews: Workshop project 01.05.14..
Hi guys, I hope you all had a lovely weekend despite the weather! 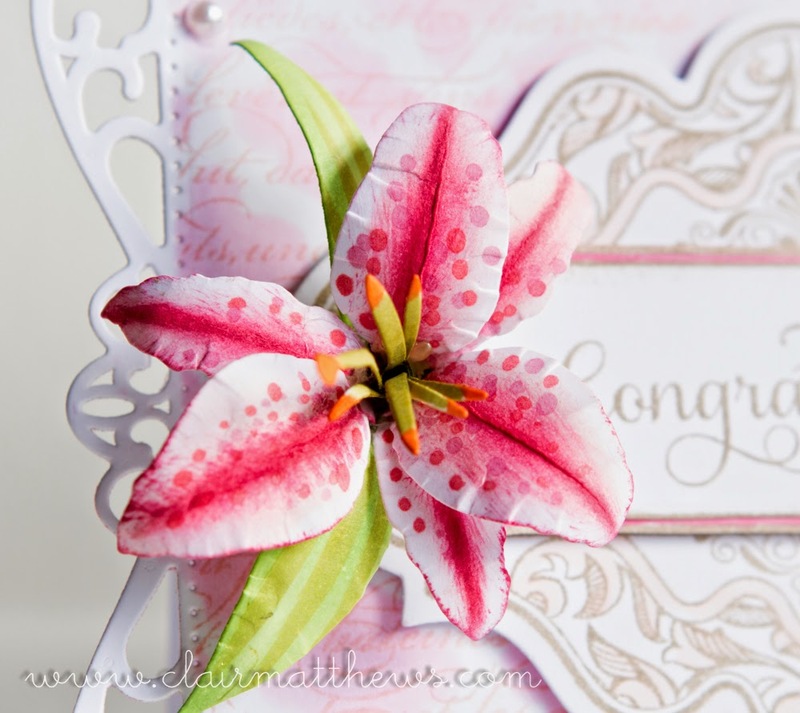 This week at workshop we're playing with a lovely new die from Spellbinders called create a Stargazer lily to make this beautiful card.. It makes the most stunning flower..
You have a choice of sentiment either 'Congratulations', 'Happy Birthday' or 'Sympathy' it's entirely up to you which to go for. We'll be using various inks to colour the lily along with Copics R11-R85-R27-YR68-YG95-YG23-G99 so if you have these please bring them along. I hope you like it & i'll see you Thursday. 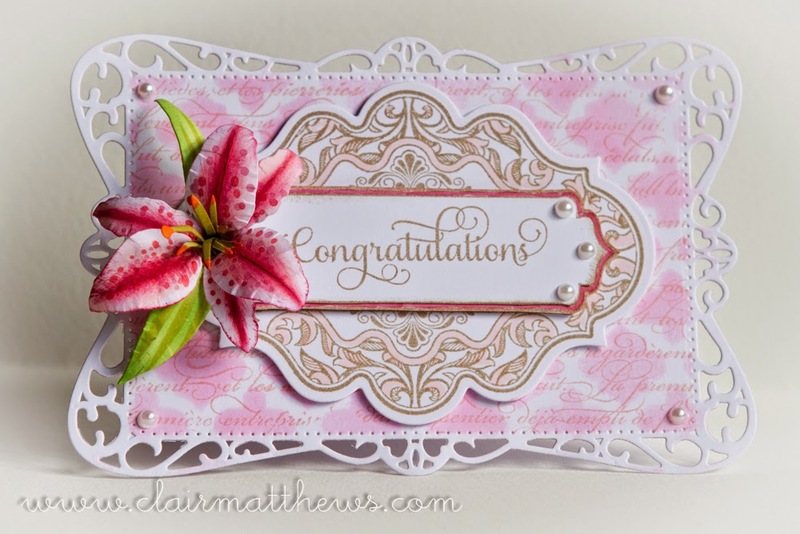 Beautiful card Clair! The challenge of yet another flower!!!!! !